1. Cut the two bagels in half. 2. Cook the two eggs (over easy or following your preferred method), add the cheese on top and let it melt slightly. 3. Toast the sliced bagels and spread the ham pâté on the top part of each bagel. 4. 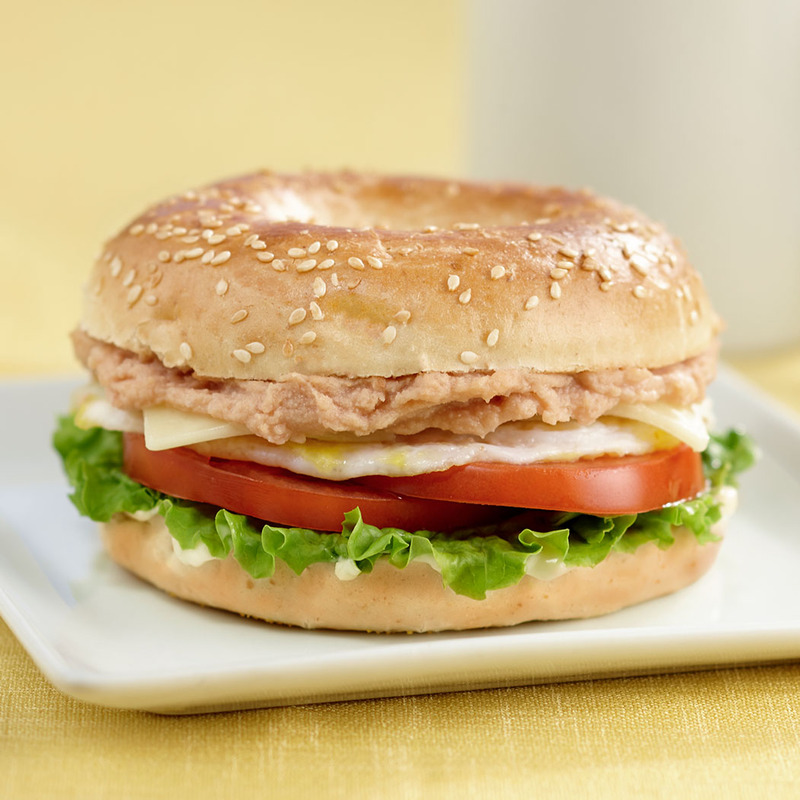 Spread mayonnaise on the other half of each bagel, add the lettuce, the slices of tomato, then the eggs and cheese. Close with the other bagel half and enjoy!